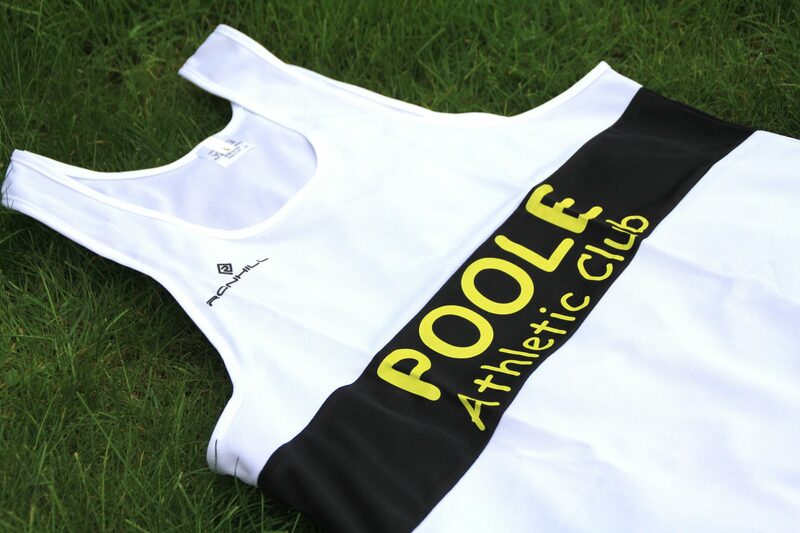 As Poole AC members you will without doubt want to compete in our Club colours and be associated with one of the region’s most successful clubs. In many competitions it is mandatory to compete in the correct colours, or your result will not count for the club. Dorset Road Race League events require you to wear the white tops with black hoop and gold club name. Track&Field and cross country events require you to wear the black top with gold sash. Don’t get caught out – if in doubt just ask a team captain. 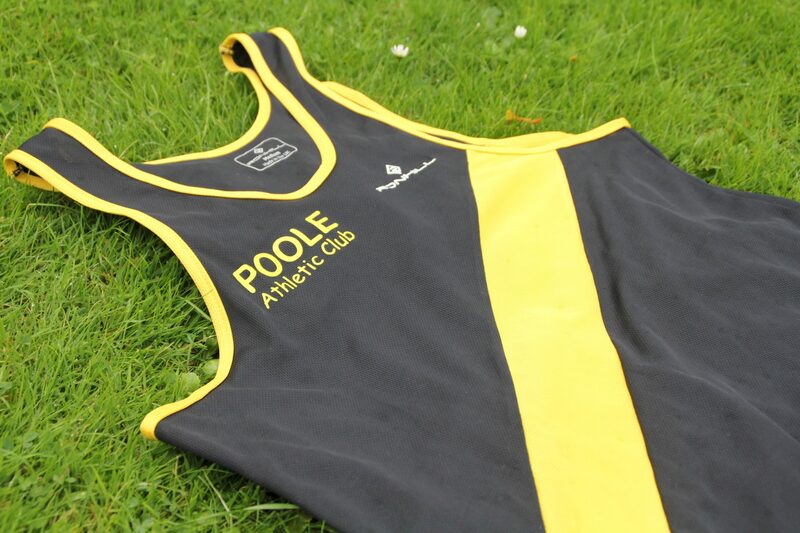 All our kit is sold at cost price – we do not make any profit from the sale of our clothing items. Please help support and promote your Club by wearing these items. 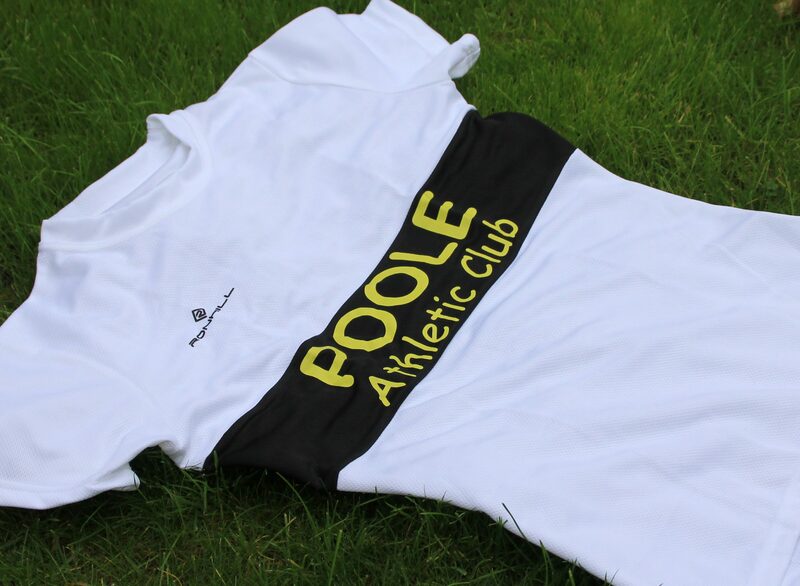 New and updated Poole AC club technical t-shirts are now available. Keep your arms warm with this new design technical long sleeve top. Stay cool with this technical vest. 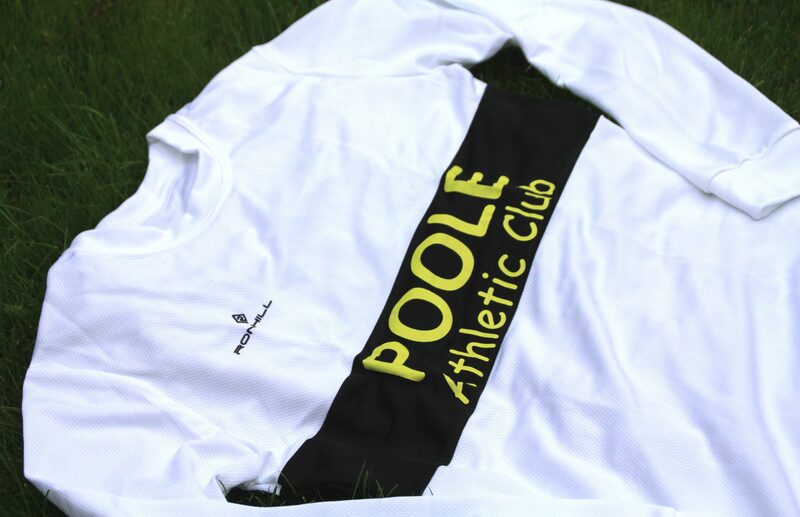 Poole AC’s zip-up sweaters, with a unique crossword design on the back. Great for keeping warm before and after races! 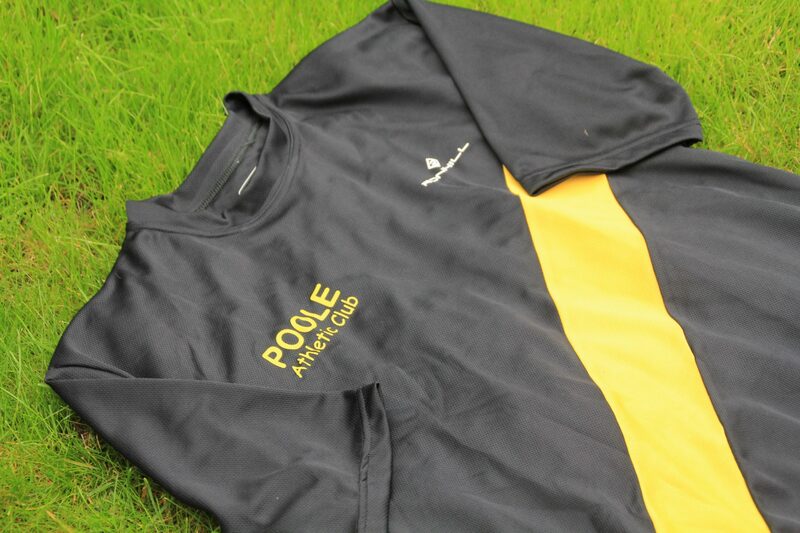 Poole AC’s hoodies with the same stylish design are great for keeping warm before and after races! 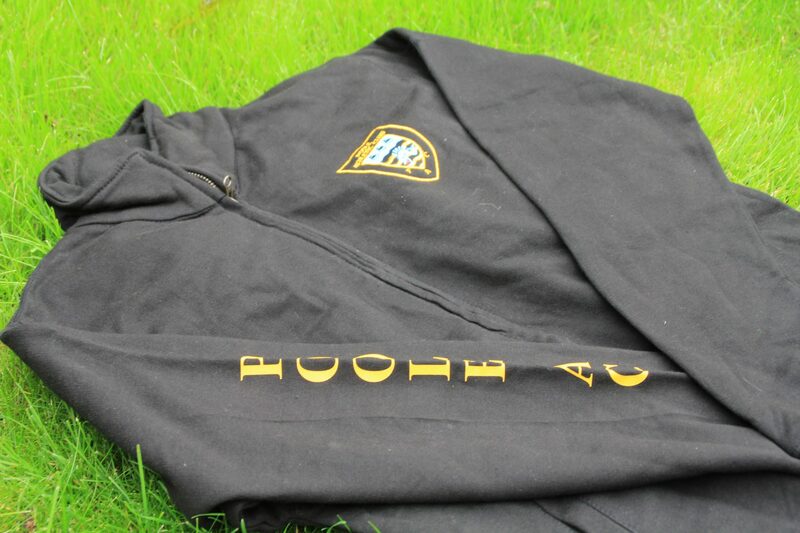 The new Poole AC hoodies are great for keeping warm and incorporate the new Poole AC branding. 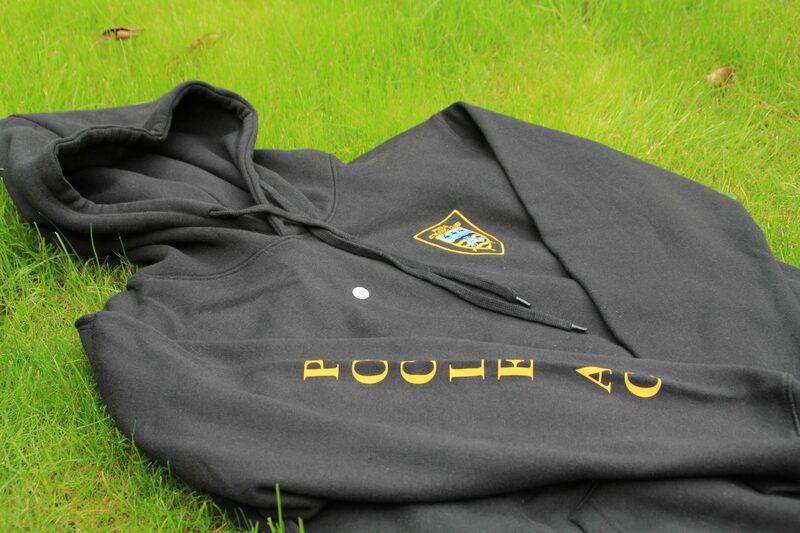 Also available with a full length zip up the front for an additional £3. 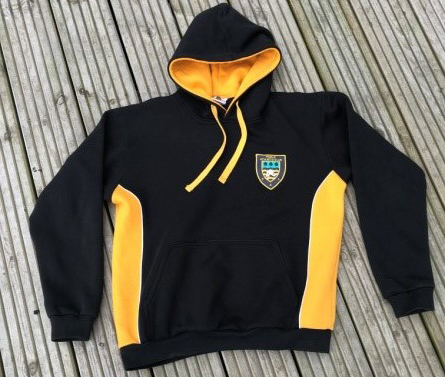 To order please contact Eve Filmer via the Senior Committee form on the Contact Us page here >> or at the Haymoor on Tuesday or Thursday from 7pm.